Affiliate programs can be one of the best ways to drive traffic and sales to your products. Mobilized affiliates can become your best advocates. In recent months I’ve been working to improve my own affiliate program to make sure my affiliates are energized about Creator Courses as well as informed about what’s going on. 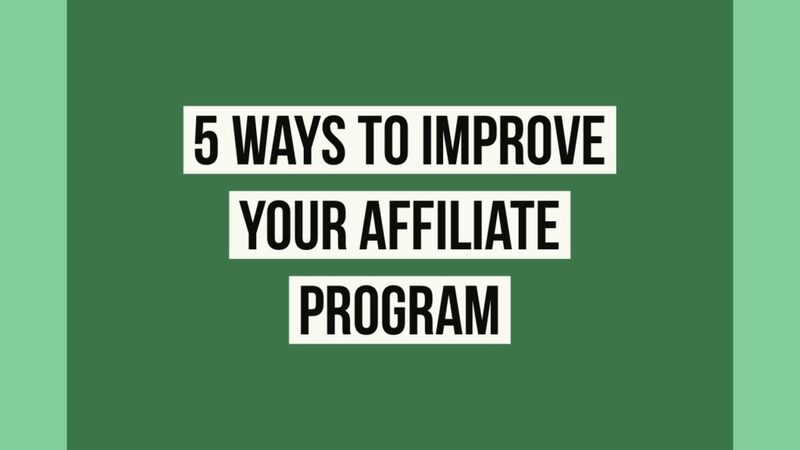 Here are 5 ways I’m working to improve my affiliate program. First, I want to make sure my affiliates can actually vouch for me. They don’t need to be students in one of my courses, but they do need to understand my teaching style. Maybe they are fans of my YouTube videos, have attended a workshop, or someone I’ve otherwise interacted with. The program is not an open club for people who are just linking to my courses in hopes that they’ll make money. I want my affiliates to understand my work and convince people that my courses are worth taking. Increase the value and price of my courses. Higher prices means higher commissions. Increase the commissions. Now, they start at 30% – that can be a considerable jump. But that’s not all. I now have tiered commissions. If an affiliate hits certain goals in a month, they can earn more – up to 47%! I’ve told them that they are the first people to know, besides me, what I’m working on. I’ve also made myself available to them for quotes, interviews, webinars, and anything else they think of. If they feel my voice will help them, I’m happy to oblige. This one is a work in progress, but I’m excited at the way this resource is shaping up. Finally, I’m open to feedback from my affiliates. As far as I’m concerned, it’s my job to help them the best I can – they don’t need to do this, and their investing their time in me. I want to make sure their investment is a good one, and I can only do that if communication is a 2-way street. For example, I got feedback that the tiers were too far apart – especially based on the referral numbers – so I modified them. Likewise, I’ve been asked for better assets. As a bonus, I want to introduce more competition into the program. I plan on rolling out the leader board that AffiliateWP has. I also want to run a contest, probably in the new year, to award top performers with more than just commissions. This is a work in progress and something I plan on investing even more time in through 2019. I want to build the best team I can, and it all starts with me and what I can do for my affiliates. Do you have an affiliate program? What works for you? What doesn’t? Let me know in the comments! Excellent post, with fabulous ideas. They all require a lot of work, necessary work. As a producer of courses,.you already invest a lot of time upfront. With affiliates you are caught in a catch-22 – give them everything to make it easier to sell / promote your courses, they sell more, but is it that much more that your investment in work, time, attention and emotional labor is worth it? I am curious if the listed order is actually the implementation sequence. I could see that 4 is a given. You could build reusable blocks for your affiliates. That makes it really fast. And 5 open for feedback is also a given. Combine they should result ready in increased referrals. You probably don’t need to do any monitary adjustments at all to move the needle. And if you foster collaboration rather than competition first paying more attention to you affiliates opens up a whole new level. That how I would feel if I were an affiliate of creator.courses. 🙂 How have I not signed up for your program yet??? ?